We are well known among physicians, and other professionals in the Health Care industry serving Schuylkill County, Dauphin County, Franklin County, and the surrounding Lehigh and Berks County areas of Pennsylvania. We are strictly compliant with the guidelines set forth by the State and Federal Regulations, and are Medicare and Medicaid Certified, State Licensed, and a fully insured Home Health Care Agency. "Quality of your Home Health Care is important to us". Blue Mountain Home Health Care Inc. takes pride in helping you rehabilitate from medical events like stroke or recent surgery, managing chronic conditions such as diabetes, heart disease, arthritis, or conditions requiring some supervision or assistance with daily life. We work with your physician to develop a plan of care that best fits your needs. 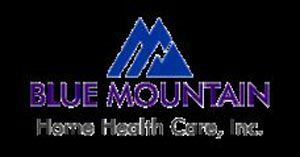 Blue Mountain Home Health Care, Inc. (BMHHC) was founded to provide the comprehensive health care services of exceptional quality to all the patients equally, regardless of their ability to pay. We are driven by the philosophy of providing excellence in the home health services to our community with genuine compassion and kindness. Quality home health care to our patients is important to us. We believe in doing the right thing every time, not just when it's convenient. Our goal is to keep growing over the years in meeting the needs of our patients while maintaining our commitment to providing affordable, and consistently highest quality care services for all of our patients.